Feasibility study supports daily A330 or 767 roundtrip passenger frequencies with 75% to 84% load factor potential. Qualifies for MIA Air Service Incentives (2). The study found that up to four weekly roundtrip passenger frequencies on A340 aircraft with a 71% load factor potential were realistic, as long as the service originated in, or had a feed from, Johannesburg, and feeds in Miami from Latin America/Caribbean/other US markets. Qualifies for MIA Air Service Incentives (2). Study supports three weekly A330 (or equivalent) roundtrip passenger frequencies with 80% load factor potential. This route would qualify for Miami International Airport (MIA) Air Service Incentives (2). MIA and air service consultant’s joint feasibility study forecasts three weekly A340 or equivalent roundtrip passenger frequencies would have 82% load factor potential. Qualifies for MIA Air Service Incentives (2). MIA and air service consultant’s joint feasibility study supports daily roundtrip passenger frequencies on 777-300ER aircraft via stopover/technical stop market with local traffic rights for operating carrier. Estimated annual Hong Kong-Miami traffic at 144,000 passengers. Florida now has over 265,000 residents of Asian heritage. Asia-Miami O&D passenger traffic at nearly 350,000 annual passengers. Miami offers the best connecting opportunities for the Hong Kong-Latin America/Caribbean travellers now at over 100,000 passengers annually. Qualifies for MIA Air Service Incentives (2) and for potential incentives from the participating airport used for technical stop with local traffic rights to carry passengers to/from Miami. 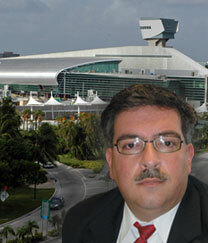 Turkey-Miami O&D passenger traffic now at over 25,000 passengers a year. Rising Turkish demographic among Florida’s growing population. Miami market now has the third largest Turkish population without direct air service. Optimal behind/beyond traffic flow opportunities: from Eastern Europe and Gulf Region via Istanbul to Miami and beyond to 62 non-stop Latin American/Caribbean markets. 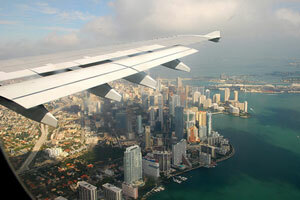 India-Miami O&D passenger traffic now at over 50,000 passengers annually. Rising Indian demographic among Florida’s growing population. Florida residents of Indian heritage now at 30% of all Asians in Florida. Optimal opportunity for Caribbean to India connections: over one million Caribbean residents are of Indian heritage and MIA offers more non-stop service to most Caribbean markets than any other gateway. Qualifies for MIA Air Service Incentives (2). MIA and air service consultant’s joint feasibility study supports three weekly roundtrip passenger frequencies on 777-200ER aircraft with a 77% to 79% load factor potential. Korea-Florida origin/destination (O&D) passenger traffic estimated at 38,000 passengers annually with overall passenger flows at 71,000 to 76,000 annually. Qualifies for MIA Air Service Incentives (2). The study also recommended daily roundtrip passenger frequencies on both 747-400 and 777-300ER aircraft, with load factors ranging from 83% to 85%. Japan-Florida O&D passenger traffic ranges between 118,000 and 143,000 annual passengers with 163,000 to 205,000 overall passengers. Miami offers the most opportunities for connections to Brazil and all of Latin American/Caribbean markets for Tokyo’s 325,000 annual O&D traffic travelling to/from Latin America and the Caribbean. Qualifies for MIA Air Service Incentives (2). Studies estimates three weekly 767 (or equivalent) roundtrip passenger frequencies would have an 81% load factor potential (for seasonal – winter – service only). Qualifies for limited MIA Air Service Incentives (2). MIA’s Air Service Incentive Program (ASIP 2) offers reduced operating fees to new or current airlines which establish routes between MIA and new or select premium markets. 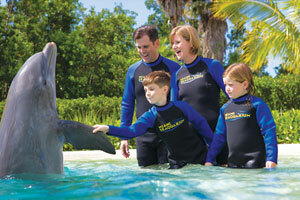 Miami boasts extensive cultural and entertainment options including the Miami Dolphins its world-famous warm water beaches and the Everglades National Park. 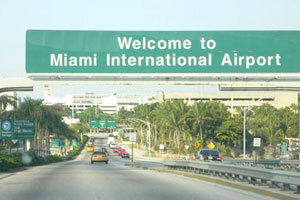 Miami International Airport (MIA) is the airport for the metropolitan Miami service area, with a population of over 5.4m. 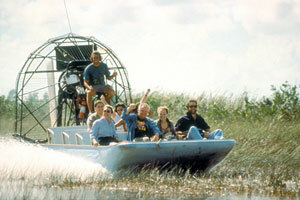 Greater Miami is a popular tourist destination and is the #3 market in the United States for international visitors. The climate, beaches, culture and nightlife continually make this region a top choice of many vacationers and convention organisers. 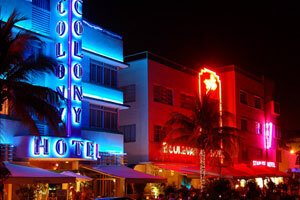 In 2008, visitors to Miami totalled over 12m with more than 5m being international tourists. 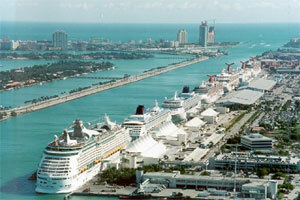 Miami is also home to the Port of Miami. 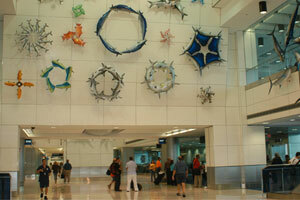 Annually, over 4m passengers cruise out of the city, of which 60% arrive through Miami International Airport. As an international business and financial centre, Miami continues to lead the region with more than 1,000 multinational corporations and international banks based in the area. Other key economic business sectors include biomedical research & development, information technology/telecommunications, aviation manufacturing & maintenance, film, entertainment and fashion industries. American Airlines and UPS are the most significant private sector employers, but local state and Federal government agencies such as schools boards; universities and health service providers dominate employment figures. MIA offers an extensive air service network for passenger flights, which spans nearly 150 destinations on four continents. It is the largest connecting point for flights between the Americas, and also between Europe and the Americas. Total throughput in 2008 was 34m passengers, split almost 50:50 between domestic and international. Passenger facilities continue to be enhanced to accommodate growth and airline alliance requirements. Recently completed is MIA’s South Terminal. In less than two years, MIA’s North Terminal will be open, adding further capacity and conveniences for airlines and passengers. MIA will also unveil its transportation hub – a central terminal for rental cars, busses and trains – in 2011. MIA’s dominance in international trade is proven by the economic impact of the air cargo which passes through the airport’s facilities. As the gateway to South & Central America and the Caribbean, MIA leads all US airports in international freight. Brazil, Peru, Colombia, Mexico and the Dominican Republic are the region’s key trade markets overall, with China growing rapidly. Total air trade for 2008 was 1.9m tons (including just under 1 million tons of exports), valued at $40.7bn. Miami International Airport has no slot controls, curfews or delays. Land here? Reduced fees are offered to airlines establishing routes to new or select premium markets – Ferraris, like this F430, are commonplace in Miami, possibly why MIA believes it could support a thrice-weekly Milan service. Visitor and trade information and assistance provided through several local bureaux. The catchment and some of its commercially-important people. When completed in 2011, the North Terminal will add more than 3.2m sq ft (297,000 sq m) to the airport campus offering 130 gates and 120 self-service check-ins. Miami International Airport MIA could never be described as ‘under-served’ in terms of freight – in fact, MIA is the number one airport in the US for international freight and number three in the US for total cargo. 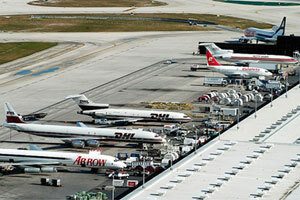 MIA ranks among the world’s top 10 international cargo hubs. No other US gateway is in this distinct grouping. MIA offers 2.7m sq ft (250,000 sq metres) of cargo handling in 17 new facilities. Dedicated apron space now encompasses 3.8m sq ft (353,000 sq metres) with 64 common-use and leased positions. MIA remains the world’s largest gateway to Latin America and the Caribbean with more scheduled non-stop cargo flights to those regions than from any other US airport. As an important cargo hub in the southeast US, MIA provides streamlined access between cargo hubs in Europe, Asia and the Americas. Despite this dominant position, however, the development of freight opportunities between MIA and destinations in Eastern Europe, North, Central and South Africa as well as key markets in Asia continue to remain a strong priority. 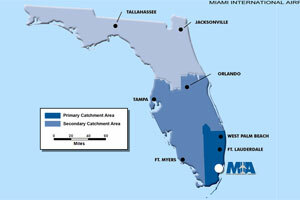 Certain financial incentives are now available for carriers commencing freight services to MIA from such new markets. The airport provides excellent trade support infrastructure for cargo airlines, with more than 1,000 freight forwarders and nearly 300 customs brokers located close by. Furthermore, MIA offers a unique ‘one-stop’, 24-hour Cargo Clearance Center which houses inspectors from US Customs & Agriculture in one location to expedite document processing and the movement of cargo through and out of the airport. On-site facilities also include US Veterinary Services and Plant Protection & Quarantine in a single location. MIA is the only US airport which provides two on-site fumigation facilities for commodities in need of immediate fumigation. When completed in 2011, the North Terminal added more than 3.2m sq ft (297,000 sq m) to the airport campus offering 130 gates and 120 self-service check-ins. Miami International Airport is located eight miles northwest of the City of Miami (15 mins) and 12 miles west of Miami Beach (20 mins). Highways 112, 836 and 826 connect directly into the Airport within one mile. Bus terminal is on lower arrivals level of Terminal. Taxis and car rental vans available kerb-side. Construction is currently underway for the elevated train which will connect MIA to the future Rental Car/Intermodal Center transportation hub. The hub will house all public transportation services in one location and will be completed in 2011. 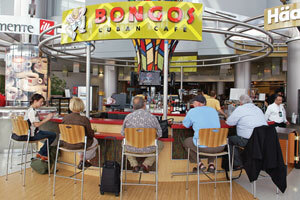 The South Terminal features concession hall and food pavilion Bongos Cuban Café. 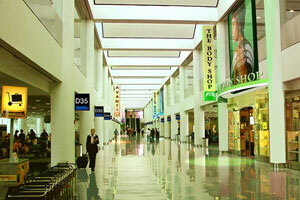 Terminals: Miami International Airport has one main facility which is zoned into North, Central and South Terminals. Capital Improvement Program (CIP): MIA’s $6.2bn Capital Improvement Program is nearly completed and encompasses all aspects of airport operations, from the Terminal Building and cargo facilities to airfield and roadway enhancements. Fourth Runway: In September 2003, MIA completed the construction of a fourth runway, increasing airfield capacity by 25% and extending the ability of the airport to sustain further growth while minimizing flight delays to airlines. Terminal Building: Extending from MIA’s Central Terminal, the new South Terminal is now open and adds 1.7m sq ft (158,000 sq metres) to MIA. 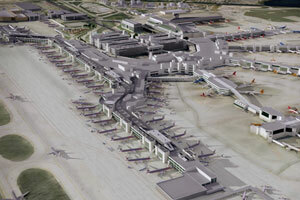 The North Terminal will encompass more than 3.2m sq ft (297,000 sq m) upon its phased completion in 2011. At that point, the North and South Terminals will have a total of 130 gates, with 100 international gates and 30 domestic gates. The Terminal will have 556 ticket counters and 120 self-service check-in devices. Cargo: MIA’s cargo facilities provide over 2.7m sq ft (250,000 sq m) of space in 17 cargo buildings. Cargo ramp space provides over 3.8m sq ft (353,000 sq m) with 41 common-use and 23 leased cargo positions. Most of these facilities offer airside-to-landside access to facilitate multi-modal transport. As of June 2009, MIA had 91 airlines: 70 scheduled and 21 charter. Passenger throughput. 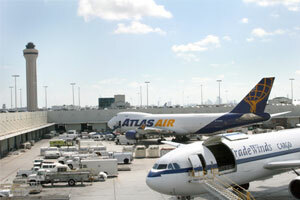 In 2008, MIA had a total of 34.1m passengers; 17.9m were international, 16.1m were domestic. Freight tonnage. 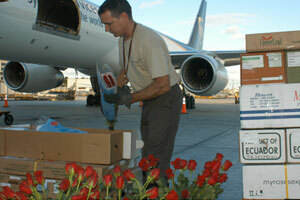 In 2008, airlines at MIA carried 1.9m tons of cargo. Largest carrier: American Airlines (66% of total passengers May 2009).